Treasury Funds has been providing residential mortgage loans since 1994. We are passionate about making sure you our customers are connected with the loan product that best suits their borrowing needs. Whether it be a 15, 20, or 30 year loan and whether it’s a fixed or adjustable loan, we have the loan for you. We understand that a mortgage loan can be a long term situation. We want to help you obtain the lowest possible rates and payments to fit your needs. Treasury Funds is an independent mortgage brokerage. When you work with us, you will be in direct contact not only with your loan officer but also with your loan processor. This will assure you will know exactly where you are in the loan process every step of the way. 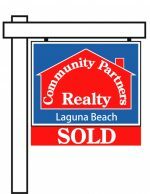 We work well with real estate agents and they have come to appreciate our dedication to providing a surprise-free, smooth escrow period. If you are interested in finding out more about our purchase loans or our refinance loans, or have any general questions, please contact us. We are here for you!